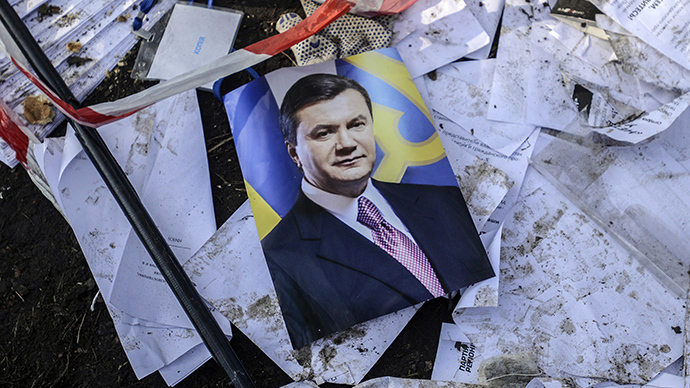 The new Ukrainian authorities have put missing President Yanukovich on the wanted list on suspicion of involvement in mass killings during the riots in Kiev. He was reportedly last seen at his residence in Crimea. The arrest warrant was issued on Monday, acting Interior Minister Arsen Avakov announced on his Facebook page. He added that Yanukovich was last seen on Sunday night leaving his security detail a private resort in Crimea in southern Ukraine. 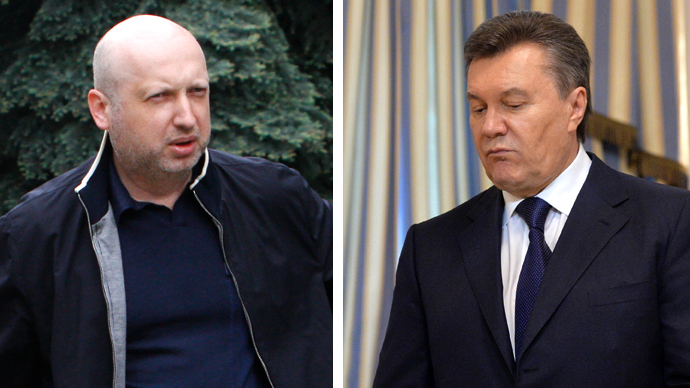 In addition to Yanukovich, some other officials are now wanted in Ukraine, Avakov said, but did not name them. The ousted Ukrainian leader had fled Kiev last week after days of deadly clashes between armed radical protesters and security forces. He was believed to have visited the city of Kharkov on Saturday and later tried to leave the country, but failed when his plane was not allowed to take off by the border guards, who said it hadn't filed the proper paperwork. His exact movements were unknown to the public. 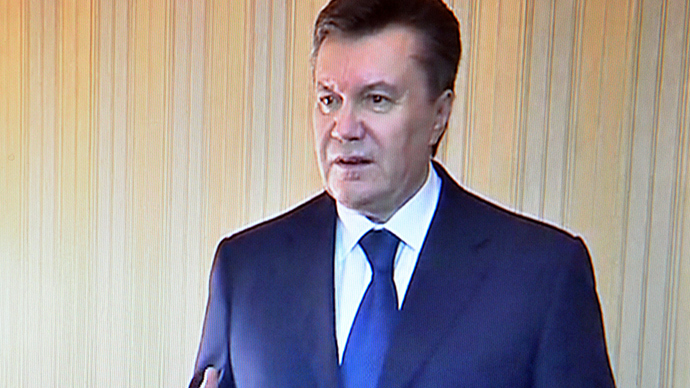 But Avakov's report details a suggested travel route that Yanukovich may have taken, which includes helicopter trips from Kiev to Kharkov and later from Kharkov to Donetsk, two failed attempts to leave that city on separate private jets, a motorcade transfer to a private Crimean resort and later to another one in Crimean Balaclava. There he offered his bodyguards the choice either to go with him or stay. Those who stayed were issued official resignations of their governmental security detail, Avakov said. 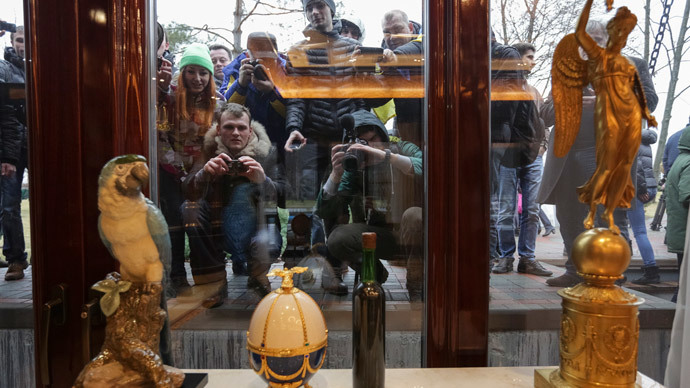 Various reports on Sunday night and Monday claimed that Yanukovich had been arrested in Donetsk, hiding with a thousand-strong entourage in a monastery, was preparing his personal yacht to sail away through the Black Sea, or had been assassinated by foreign special services. So far the rumor mill has not been accurate. 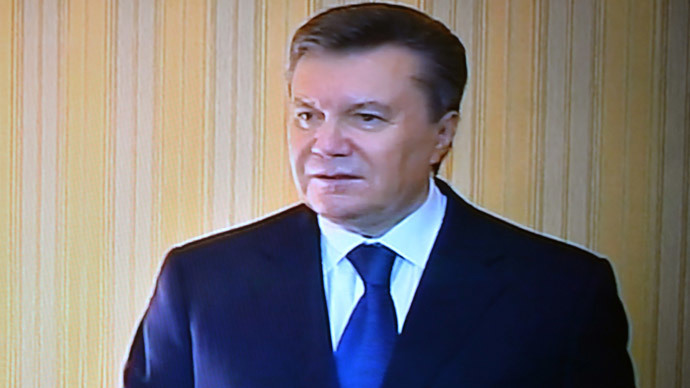 The opposition-controlled parliament earlier tried to impeach Yanukovich, but later decided not to follow procedure and simply declared him deposed on the grounds that he is not conducting his presidential duties. His own Party of Regions blamed him for the killings in Kiev and the chaos that befell Ukraine. 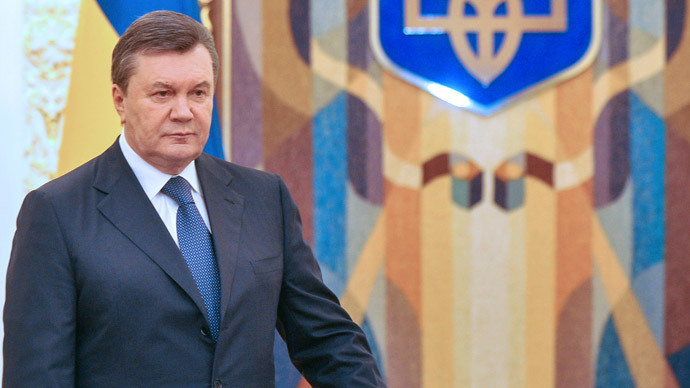 Yanukovich's downfall came after three months of mishandling the political crisis, during which he failed either to meet enough opposition demands to ensure the deflation of the tension or act decisively to restore public order. As he avoided taking responsibility, the opposition forces became increasingly dominated by radical activists, who eventually resorted to violence against police to attain their goals. The situation in Ukraine remains unstable, with reports of vigilantism on the ground, brewing secessionist sentiment in the predominantly-Russian east and south of the country, the paralysis of the national security service and a looming financial collapse.